Believe it or not, there is more than one way to style away your gray. In this short post, we are going to discuss how you should use 4RootZ and what you can expect. 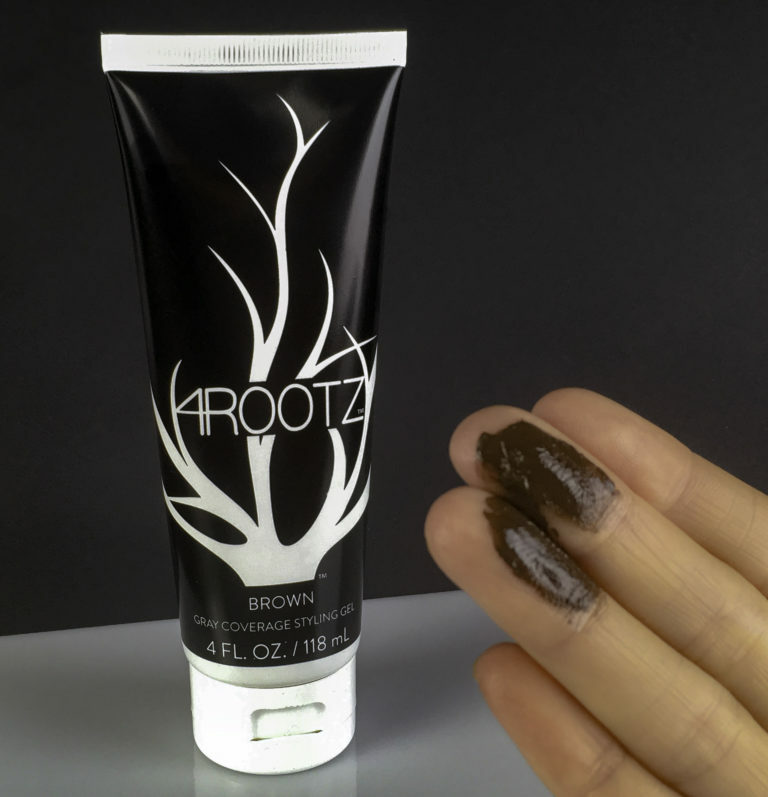 4RootZ comes in a generously sized tube that will give you quite a few uses. Just a small amount is needed in order to cover gray. Start off with just a little bit and add more as needed. We recommend to apply 4RootZ to clean, damp hair, but it can also be used on dry hair if you have showered the night before, etc. Comb it through or use your fingers to run it through your hair in the desired area(s). It will wash off of your hands easily after you are finished. 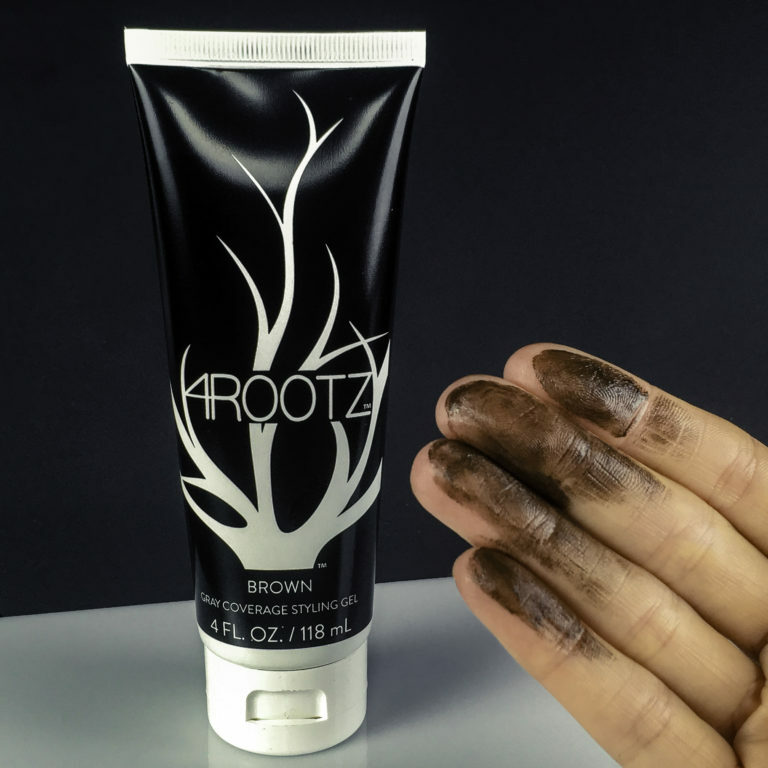 Make sure to apply 4RootZ only to the tips of the fingers and then run it through hair. You only need a little bit to see significant results. You can always add later. 4RootZ will not dry greasy. It has a natural sheen just like regular hair. If you apply it when your hair is still wet, it dries without getting chunky or flakey like some other gels. If you use a hairdryer, it has a smoother, fuller look. You can also try putting it into your hair when just slightly damp, freshly washed hair the night before, braiding it into your hair, or letting it dry overnight for a softer, beachy look. It will not rub off or stain your pillow. The pigment in 4RootZ is highly concentrated. You should start with just a little bit on your fingertips and add as needed. 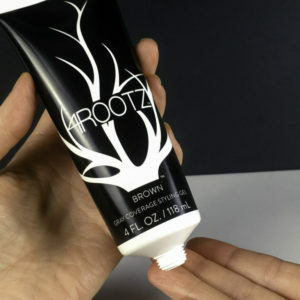 Because of the varying amount you can use, it is possible to use 4RootZ with many different shades of brown and even blonde and red hair tones. Depending on how thinly it is applied, you will see a difference in color. You can go for a light tint or a deep coloration. When applied correctly, you will find a nice overall tint to your hair color. It won’t feel heavy or ink-like. It looks natural in your hair regardless of natural lighting or fluorescent like you would find in an office and anything in between. You just need to apply a little bit to the fingertips to get started. You can add more later if needed. Styling with 4RootZ is not sticky like some other hair gels. It feels similar to a creamy lotion. If you choose, you can rub it in your fingers a bit before application to warm it up and make it easier to distribute evenly. Spread it out on your fingers for a more opaque pigmentation and color. You won’t find that it covers every single gray completely. It does a good job of hiding your gray roots from being totally obvious. It blends in well with surrounding hair and provides a much more natural look. We recommend starting off with less product and slowly working your way up to see how much you need. Just a little bit on the fingertips is fine to get you started. It doesn’t flake up, so adding more when your hair is already dry will not make it look crunchy. It is fine for you to brush your hair mid-day as you normally would, but try to keep brushing to a minimum, as with any styling gel. You won’t see any bits flaking off during the day. It stays put very well. It won’t come off on your pillow or clothing, either. 4RootZ is odorless and will not clash with any of your other colognes/perfumes. It does not have its own smell. 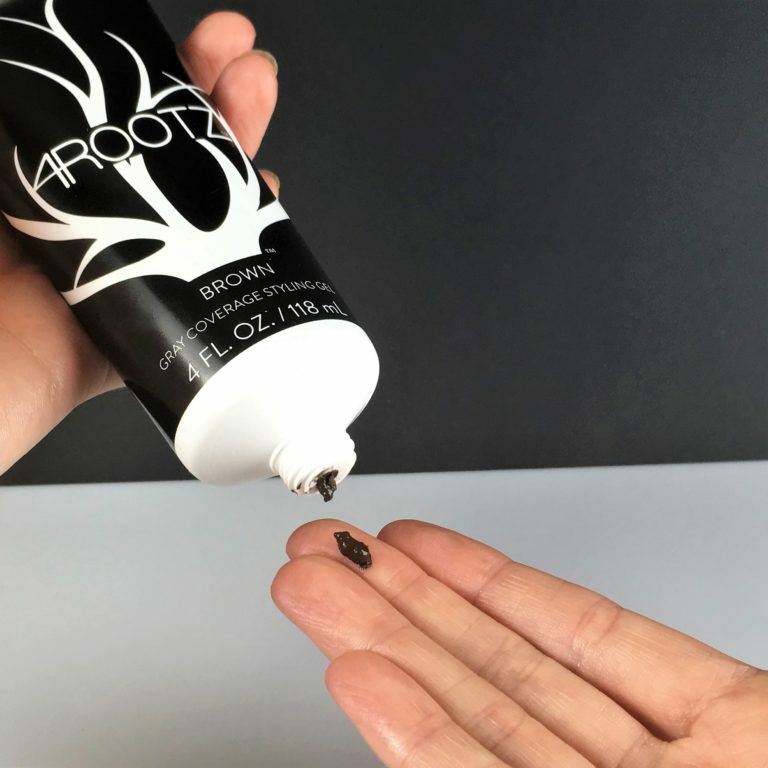 4RootZ is easy to apply to your hair and wear on a daily basis on your own terms. If you want to cover up your grays, you can. If you don’t, you don’t have to. 4RootZ is great for people looking to stretch out their time in between salon visits for another week or two. it can save you time and money in that way. You will be at the salon less and be doing what you love to do more. Getting back just that little bit of extra time every few weeks can go a long way. Even if you don’t color your hair and just would like some occasional gray coverage, 4RootZ can help you. Use it just for that interview, event, date, or anything else. You can wash it right out and get back to being gray whenever you please. If you have any questions or concerns about our product, please get in touch with us anytime. If you would like to try styling away your gray for yourself, you can find it right here.